Ventilation of escape stairs is important. This will assist the fire service during fire fighting operations and for smoke clearance after the fire has been extinguished. The efficiency of the ventilation is determined by the prevailing wind. It is for this reason that the fire service has full control of the opening and closing of the ventilators on arrival at a building. 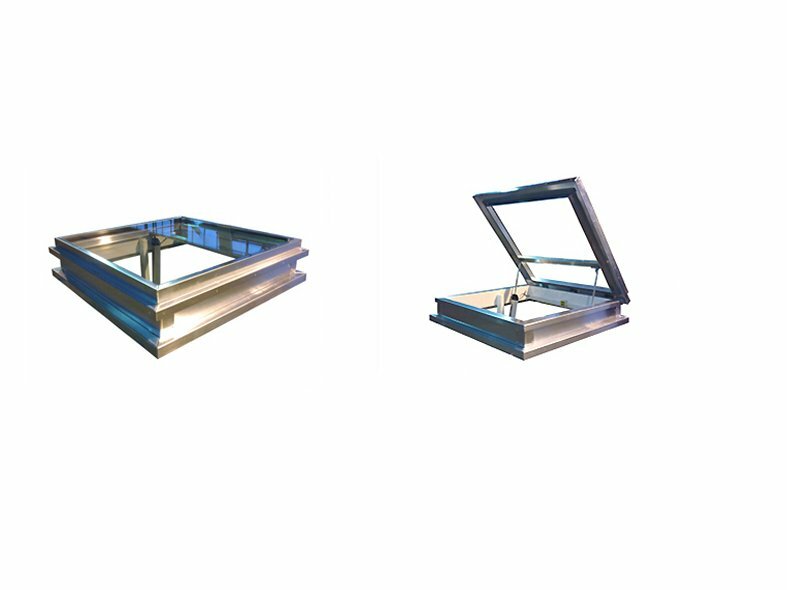 TYPE: Hatches suitable for all types of flat /pitched roofs. KERB: FR 1: Lareine Engineering proprietary aluminium upstand 400mm high. This kerb is painted white internally. The upstand is insulated externally with aluminium. Depth of upstand can be changed to suit your particular requirements. BU 1: Lareine Engineering proprietary aluminium upstand 150mm high. This kerb is painted white internally. The upstand is insulated externally with insulation encapsulated in aluminium. The flange width can be modified to meet your needs. FRAGILITY: They have been tested and are classed as NON-FRAGILE Class B to ACR(M)001:2005 Test for Fragility of Roofing Assemblies. ROOF OPENING: 1050 X 1050 (1m²) or other dimensions to meet your requirements. OPERATION: 24 Volt high temperature linear actuators. OTHER REQUIREMENTS: Control panel with 240V/24V transformer, 1Amp/Hr battery backup in event of mains failure. Battery trickle charged to ensure 100% charge. Single zone with 1 fireman’s switch. Additional switch at top landing if required. FIXING: Fitted to manufacturers written instructions. An escape stair within a protected zone should have either: a) A ventilator of not less than 1m² at the top of the stair b) An opening window at each storey (openable area 0.5m²). In cases where the building consist of more than 1 upper floor then 2 fireman switches must be used (NBS Spec Smoke Hatch) and (Drawing details) one on the ground floor and one on the Top floor level of the building. 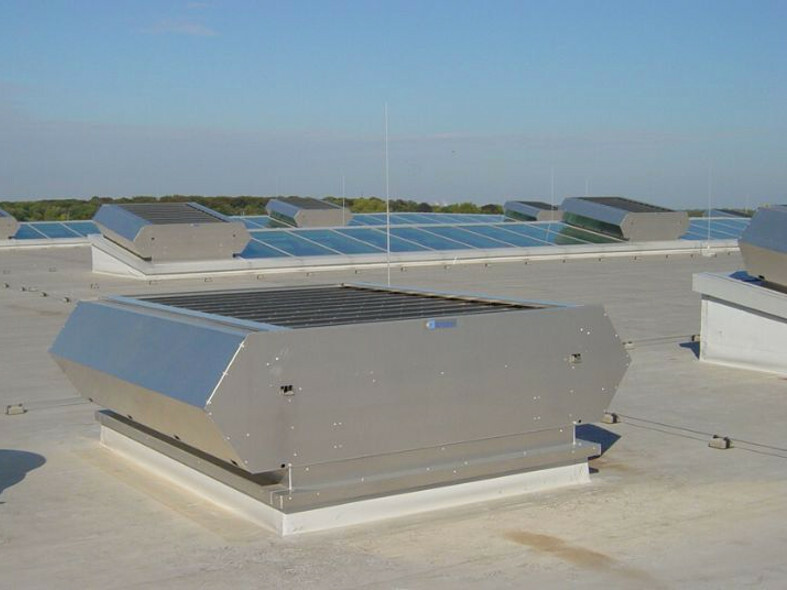 Our Smoke hatches not only provide a control for smoke egress they can act as an Access hatch due to the options built into the control panels, they can also act as a rooflight over a stair well with glass lids replacing the Aluminum standard lid (To comply with Non-Fragile the glass must be increased to 8mm toughened if required). Thermostatic materials in ceilings, rooflights can provide a fire hazard due to burning droplets and normally dense toxic smoke. When Tested to BS 2782 Method 120A, thermostatic materials with a softening point of below 200°C, because of this thermostatic materials (polycarbonate) should not be used in Protected Zones i.e Smoke Hatches above stairwells.